Graphics card manufacturer tries to diversify by equipping Chinese supercomputer. Chipmaker Nvidia said a new supercomputer built in China is the world's fastest and is powered by over 7,000 of its graphics processor units. The supercomputer, built by the National University of Defense Technology and located at the National Supercomputing Center in Tianjin, has horsepower equivalent to 175,000 laptop computers, Nvidia officials said. With sustained performance equivalent to 2.5 Petaflops, the Chinese computer is 30 per cent faster than the world's second most powerful supercomputer, which is at Oak Ridge National Laboratory in Tennessee, according to Nvidia. Called Tianhe-1A, the supercomputer will be used by scientists across several fields and also be made available to other countries. Nvidia, better known for designing plug-in video cards bought by high-end computer gamers, is promoting its technology to be used for purposes other than graphics, including supercomputers running simulations in astrophysics and other math-heavy tasks. 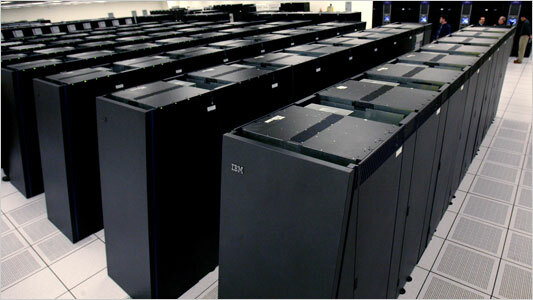 Supercomputers are also used in medical imaging, oil exploration and weather forecasting. While traditional central processors found in computers are designed to make huge calculations very quickly, one after another, graphics processors, or GPUs, excel at carrying out several small calculations at the same time, which makes them handy for specific kinds of tasks. "If we wanted to grow beyond our traditional gaming market we needed to expand our product portfolio and that's why we made a decision a couple of years ago to invest in making the GPU more programmable," Ujesh Desai, Nvidia's vice president of product marketing, told reporters. The graphics chips in used in the Tianhe-1A are high-end cards that sell for about $2,500 each. The Tianhe-1A also packs over 14,000 central processors made by Intel, Nvidia said. Seven of the world's most powerful computers are in the US, with two in China and one in Germany, according to Nvidia. Some experts say that since programmers and major semiconductor players like Intel have focused traditionally on central processors, GPUs have been underutilised and should be tapped to improve the performance of everyday computers - from desktop PCs to tablets. Intel and rival AMD both plan to launch microchips next year that combine graphics and traditional processing power.